The Cote d'Azur appeared to move 500 miles north to Paris on Tuesday. It was all in the name of fashion, with a catwalk disguised by sand and fake waves. The show at the Grand Palais exhibition centre came at the end of Paris Fashion Week. 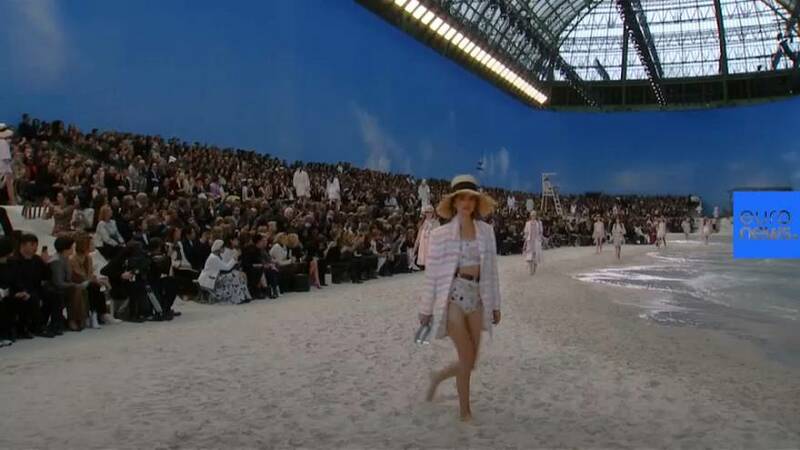 Chanel, known for its elaborate runway displays, recreated the beach, with front row guests including singer Pharell Williams and actress Pamela Anderson nestled behind a dune.